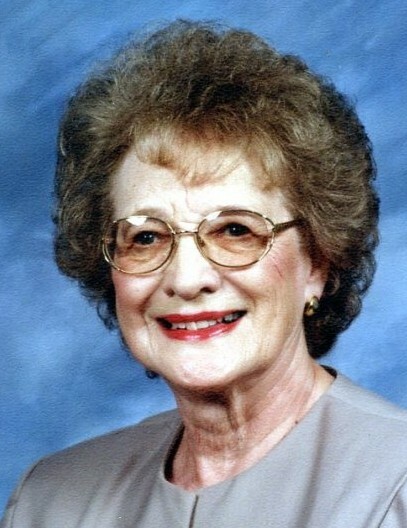 Waterloo – Paula J. Slentz – McGrath, 90, died Sunday, March 31, 2019, at Auburn Village in Auburn. She was born August 3, 1928 in Waterloo to Harold J. and Addie L. (Opdycke) Girardot. She was a Waterloo High School graduate. Paula was clerk/treasurer for the Town of Waterloo for 20 years. She was also co-owner and bookkeeper for Slentz Trucking for 38 years. She was an active member of the Waterloo United Methodist Church in Waterloo. She was a member of the Extension Homemakers for over 65 years and enjoyed time spent at the Heimach Center. She was past President of the DeKalb County Council on Aging. She married Raymond E. Slentz on February8, 1949 in Auburn, and he died July 25, 1987. She then married Cletus McGrath on December 22, 1994 in Waterloo, and he died January, 1997. Surviving are a son and a daughter, Steven R. (Pamela) Slentz of Auburn and Melanie R. (Stephen) Hoehn of Colorado Springs, CO; three grandchildren, Kyle (Frances) Hoehn, Skylar (Crystal) Hoehn and Lincoln (Kristine) Slentz; two step grandchildren, Cortney Klopfenstein and Alex Klopfenstein; four great grandchildren, Cooper Hoehn, Brecken Hoehn, McKenna Hoehn and Kiama Hoehn; one step great granddaughter, Macie Hall; brother, Donald E. (Lois) Girardot of Butler. She was preceded in death by her parents; and both husbands. Services are 2 p.m. Thursday, April 4, 2019, at Feller and Clark Funeral Home, 1860 Center Street, Auburn, with burial to follow in Waterloo Cemetery. Calling is 2 hours prior to the service on Thursday from 12 to 2 p.m. at the funeral home. Memorials can be given in Paula’s name to the Heimach Center.